Alex BassJunkie & Dowster – Three Tracks | 17.05.11. 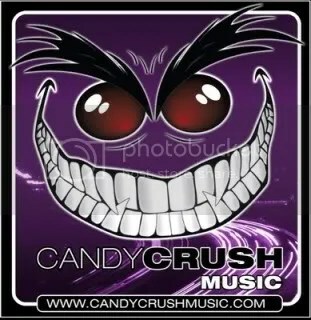 Those that have been paying attention will know that Candy Crush Music – the label run by Alex BassJunkie and Dowster – is poised to re-launch. I loved the old Candy Crush label, and am pleased it’s re-launching. As a mini-celebration, here’s three free tracks from Alex BassJunkie and Dowster. This entry was posted in Bootlegs, Free Tracks, Track Releases, YouTube Videos and tagged ABJ, Alex BassJunkie, Blind Faith, Candy Crush Music, Chase & Status, Dowster, V.A.G.A.B.O.N.D. Bookmark the permalink. Free Track | Isaac Wolfern – Cannibalism | 17.05.11. DJ Mix | Jay’s Bootleg Mix | 18.05.11. Hey man Dowster & Alex BassJunkie – The Shining is the wrong link.